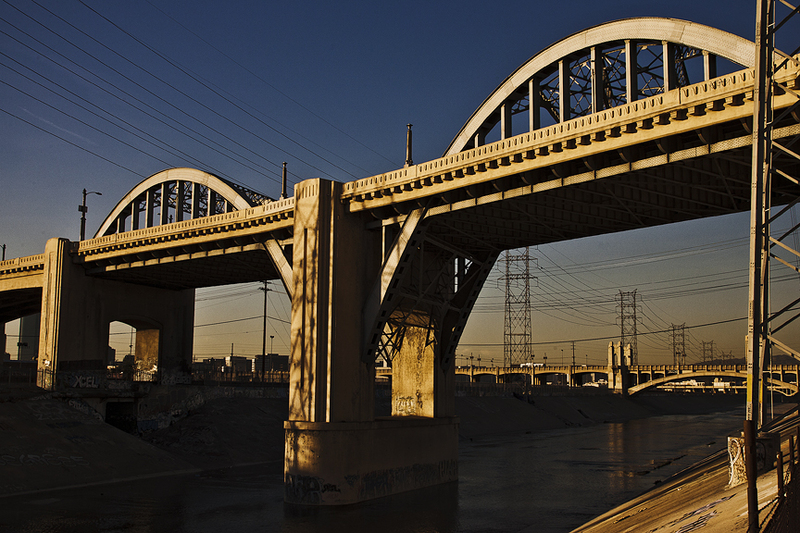 The L.A. city council voted to replace the 79 year old Sixth Street Bridge. The iconic bridge that connects east L.A. with downtown will be replaced with a new $401 million dollar design that would begin in three years, if the bridge holds up that long. The bridge is infected by an alkali silica gel that expands the cracks in the concrete, and the giant looping iron supports are rusting away, making the bridge susceptible to failure during an earthquake. Preservationist wanted to have a replica design of the Sixth Street Bridge, but city engineers felt it was not feasible. The new bridge design will utilize cables and towers to support the bridge, and will take up to four years to build. Last chance to use in your noir film.